WOOSTER, OHIO — National Fossil Day has now been in place for two years. Curiously enough, two Wooster alumnae, Erica Clites and Eva Lyon, have been critical organizers and promoters of this great event as Paleontology Interns with the National Park Service. It is sponsored by the NPS and the American Geosciences Institute (AGI). They even have an official National Fossil Day song! The College of Wooster is proud to be one of their academic partners on a list we hope will grow with the years. 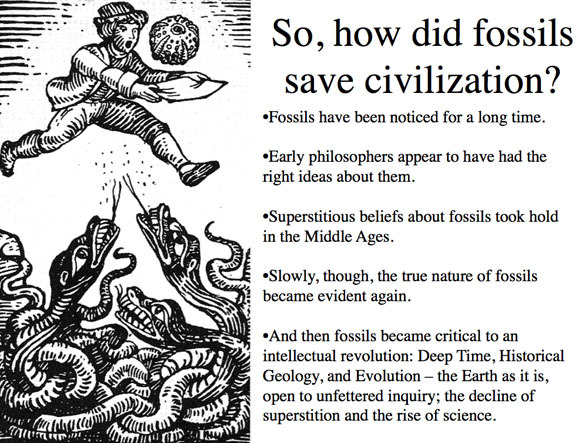 As part of my contribution to National Fossil Day, I gave a talk to the Geology Club titled, “How Fossils Saved Civilization”. My title was inspired by “How the Irish Saved Civilization“, and like that book my tale had a bit of blarney in it. 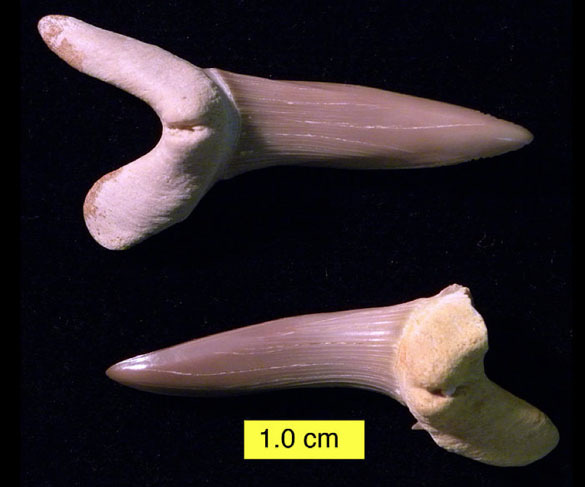 Nevertheless, I strongly believe that the proper understanding of fossils was one of the keys to the scientific revolutions of the 18th and 19th Centuries. Here’s to the beauty and wonder of fossils!